Can player evaluation and aptitude testing be harmful to kids and how to do it safely? Everyone in our team was excited when we released new features for player evaluation and testing and sending progress reports via email. 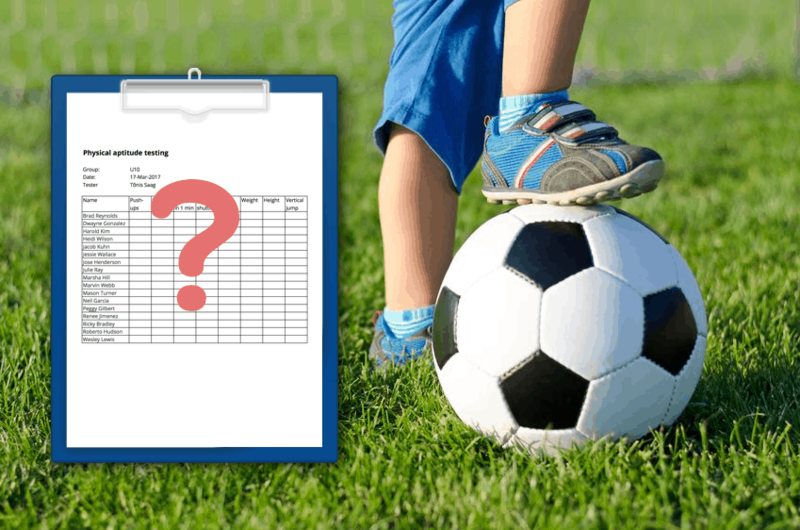 We had planned it with the best intention to help coaches track player’s progress and give personal feedback to players – the thing that parents are missing most from their kids’ sport clubs. “FFS – how old is that kid? Do you REALLY need to “analyse” what he does in a community club at the age of … 8?? Didn’t we really understand some youth coaching basics? Are we developing software that may be harmful to kids? Both my theoretical know-how and experience said that we are on the right path, but I really wanted to be sure about it and I turned to sports scientists from the University of Tartu. 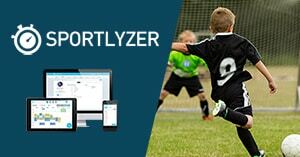 Sports psychologist Aave Hannus and sports scientist Jarek Mäestu have advised Sportlyzer for a while and I know that they are well aware of both theoretical and practical sides of youth coaching. So I spent some hours on phone with them and here is what I learnt. Like most tools, player evaluation and testing can be used to develop kids as well as to cause harm. The borderline is thin and lies where gathering information for better coaching decisions turns into controlling and pushing kids. Trying to motivate youth athletes by giving them feedback about their weaknesses and leaving them to solve the puzzle by themselves does not work. Approximately up to 12 years of age kids are not able to differentiate various reasons of failure like luck, talent, different abilities, etc. When they are evaluated or even put into a leaderboard, they cannot analyze the situation and draw conclusions how to improve. All they feel is that they are evaluated, and depending on the situation the feeling may be bad. Using testing to track outcome goals does not work with kids. Some coaches start demanding results at a certain development stage, but this is a usual trap of successful junior athletes. Under such pressure kids will develop fear, whether they will succeed or not. As a result their competition anxiety grows too high and their competition performance will fall. The reason is simple – athletes are not in control of their results. They can control their preparation, effort, attitude, and many other things, but the end results are dependent on many other variables that are out of their control. Hoping to “bring them back to Earth” with the reality of numbers does not work with kids. And actually it does not work with adults either. The outside pressure is already so high in sports that player evaluation and testing should not be used to raise it even higher. Does it mean that we shouldn’t test kids at all? No. When done right, player evaluation and testing can be powerful tools that help coaches optimize training process and teach kids to pay attention to their progress (instead of results). Kids are genuinely interested in developing and becoming better. Even for 7 year-olds it is OK to hear about their weaknesses. It doesn’t decrease their self-esteem until this is served from the point of learning. So how do you do player evaluation and testing right with kids? Athletes tend to work on aspects that are measured and wrong choice of exercises may turn their attention to unnecessary aspects. With kids of different ages different aspects are important. Until the age of 12 (before the growth spurt) it is important to observe the general physical abilities and the variety of skills. It is OK to add sport specific aspects, but one should not focus only on sport specific development with younger kids. It is vital to make sure that kids understand that it is not their fault that they can’t do everything so well yet, and that player evaluation and testing data is necessary for you to improve your coaching and this way help them improve faster. It is OK to use player evaluation and testing results to measure and set development goals for adult competitors, but in case of kids results should not be used for pushing them harder. The optimal situation would be where coaches and parents don’t demand results from the youth athletes, but kids themselves are interested in their sport and expect development… and everything will come when it comes. Tip: Make sure that everyone involved (other coaches, athletes, parents) understand that testing and evaluation results are not for pushing kids. A terrible combination could be if a results-focused coach has a solid influence over parents – in such case kids have no way out and basically they would be the tools of adults’ ambition. Your procedure should focus on the perspective of individual development. Especially in team sports where game results give you information about the team as a whole, but every youth athlete requires at least some individual observation and guidance. Why? Playing a single sport does not ensure that a kid gets balanced development in all necessary aspects. They work with you only a few limited hours a week and you don’t have time for anything but your own sport. But kids need to move at least 60 minutes a day at medium to high intensity and simple math tells us that most of this happens outside of coaches’ reach. Kids’ free time activities can be influenced by parents, but as a coach you probably know that not all parents are sports experts. Therefore, coach, it is in your own interest to communicate player evaluation and testing results to parents, and explain them how to talk to kids about it, which abilities are improved at your trainings, and how parents can organize kids’ free time activities to ensure balanced development. Tip: Prepare descriptions for all player evaluations and tests and always add these to test reports that you hand out or send to athletes and parents. Player evaluation and aptitude testing can be both harmful and beneficial for kids. To make the most out of it, don’t use results to control and motivate kids. Instead, use results as a source of information about how athletes react to your training methods, focus on individual balanced development, and educate athletes and parents how to use their free time activities to overcome their shortcomings. I know this is easier said than done, but as a youth coach you need the patience and love for the process to direct the waters and let the river flow. If you enjoyed reading and found this post useful, we would appreciate if you shared it with your friends as well. Thanks!